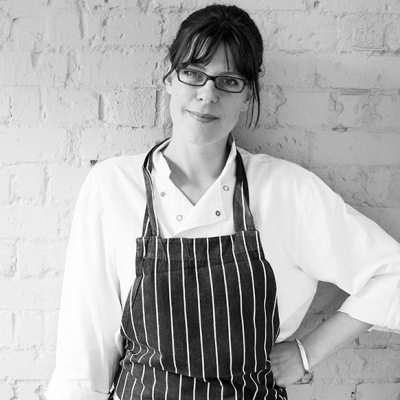 Born in Canada and raised in New Zealand, Anna trained as a chef under Fergus Henderson. She then worked with Peter Gordon in 1994 at Green Street and again in 1998 at The Sugar Club. In 2001, Anna, Peter Gordon and partners opened their award-winning Marylebone restaurant, The Providores. Their awards included the prestigious Catey's ‘Newcomer of the Year’, two AA Rosettes for culinary excellence, and Square Meal’s 'Best New Restaurant Award'. Anna also acted as consultant chef to New York’s Michelin-starred restaurant PUBLIC. Anna opened The Modern Pantry in 2008. It has gained two AA rosettes and was listed as a ‘Bib Gourmand’ in the Michelin Guide 2009. A second branch of The Modern Pantry opened in 2015. Anna’s first book The Modern Pantry Cookbook was published in 2011, and she has appeared on BBC Saturday Kitchen a number of times. Anna was awarded an MBE in 2012. Visit the The Modern Pantry online store at themodernpantry.co.uk.